Eliminating the double negative, O’Reilly is saying that the act of selling heroin is an act of violence. Bill O’Reilly, one of the most highly watched TV pundits of our time, either doesn’t understand English language usage or he’s deliberately conflating non-violent and violent acts in a misuse of language that would alarm George Orwell, who in his novel Nineteen-eighty-four warned of a “Newspeak” that equates opposites: “War is Peace. Freedom is Slavery. Ignorance is Strength.” Eric Blair, writing with the pen name George Orwell, argued that the confusion of opposites is a precondition to negating thoughtful resistance to totalitarianism. On the premise that Bill O’Reilly is, himself, confused — rather than deliberately misusing his platform to disarm his audience intellectually — let me clarify. Throwing a punch at someone. Holding down someone and forcing a sexual act. Exploding a bomb in a crowd. Flying jetliners into an office tower. Holding someone down and making them consume a toxic substance or injecting a toxic substance into their body against their will. Offering something in exchange for something else. Giving something in exchange for something else. Accepting something in exchange for something else. Applying to someone’s body, at their request or with their consent, a medicinal, pharmacological, or otherwise biologically active substance. Violence does not exist without force. Selling heroin to a consenting buyer is not a forcible act. If I sell someone a car, it’s not my responsibility to make sure the buyer won’t drive that car drunk, or while texting. If I sell someone guitar strings it’s not my responsibility to anticipate the possibility the E string would be used as a Garrote wire to assassinate someone. If I sell someone cutlery it’s not my job to run a criminal background check to make sure a carving knife will not be used to commit a murder. Heroin is merely one of dozens of opiates that can be used for pain management. Like cars, guitar strings, and dinnerware it can also be misused. A free civilization attempts no more than preventing individuals by force or deceit from injuring others. When, instead, some people impose their will on others, whether for reasons of avarice or altruism, it is always the hubris of those who think themselves better than others and thus should rule their inferiors. There’s an old word for that in the English language: aristocracy. There are other words: busybody and meddler are the kindest; bully and fascist are less kind. You have a voice. Freedom allows you to attempt to convince others that you have something to teach them, and your large audience suggests you’re good at that. You want to tell your big audience that heroin is habit-forming, and that it’s also risky using it because heroin distribution is controlled by violent illegal cartels, that’s accurate information. John Stossel would also argue that decriminalization of a product monopolized by violent illegal cartels — as the word “decriminalize” defines — would make selling heroin in a Walmart no more violent than selling ibuprofen, single-malt scotch, or Redline. 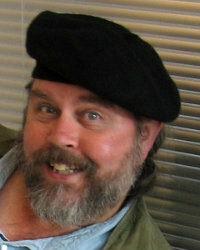 But when you go beyond your rhetorical gift of moral persuasion and avuncular advice — when you use your position to advocate for the use of force to impose your beliefs on others — you’re no different than the criminal or terrorist co-conspirator who also believes the civilized restraint of foregoing force in dealing with others doesn’t apply to them, either. Cross that line — even using the excuse that you’ve engaged police, bureaucrats, and soldiers to do the dirty work for you — you’re a megalomaniac criminal sociopath and an enemy of the free. Special YouTube Preview of Alongside Night Full Movie! I was intending to keep the Special YouTube Preview of Alongside Night Full Movie up until the movie was commercially available, a few weeks from now. 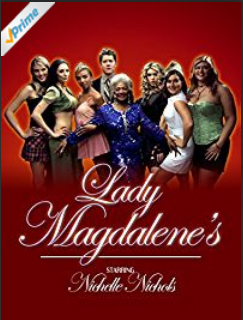 I had to remove it today when the sponsor of the free web preview, Patrick A. Heller, informed me that a “conservative” website had bypassed the play-list link which had a Liberty Coin Service infomercial preceding the full movie and posted a direct link to the unlisted YouTube video itself. So Pat asked me to take down the now-unsponsored movie and I have. 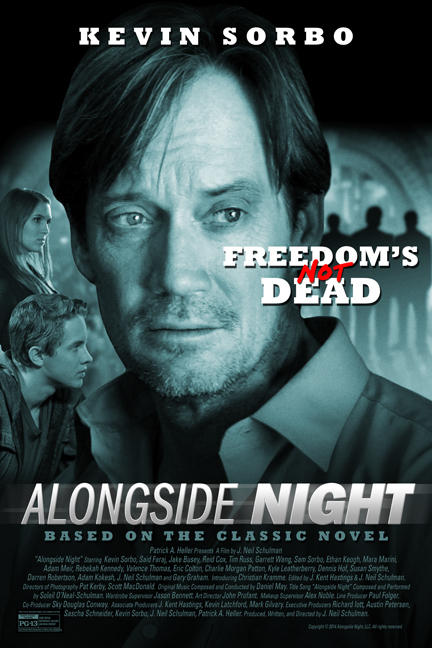 The only real YouTube site for Alongside Night — the full movie! 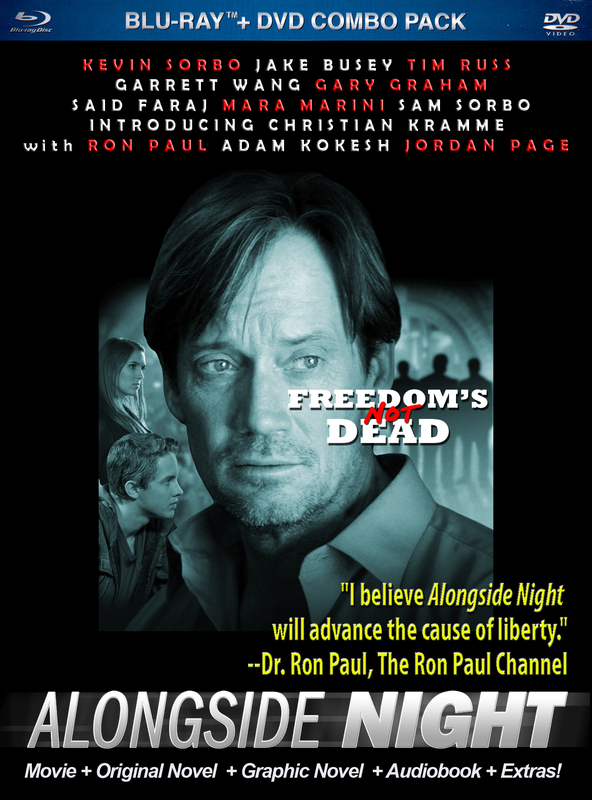 A 6-minute infomercial from Liberty Coin Service sponsors this free YouTube preview of the movie while the Alongside Night Blu-Ray/DVD Combo Pack is in production. We’re making this YouTube preview available so you can spread the word about the movie on your blog or podcast, on social media like Facebook and Twitter, and in User Reviews and Ratings for the movie on IMDb. Traditional media are also welcome to review the movie. 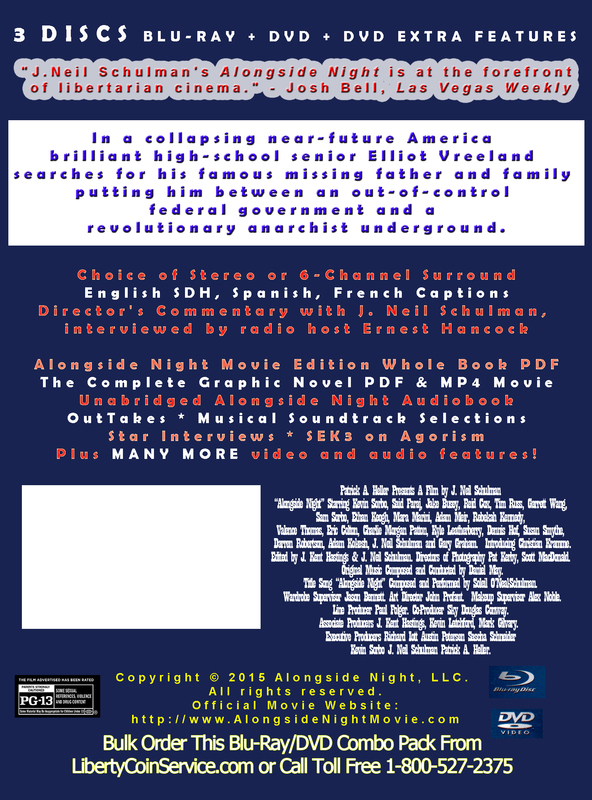 Alongside Night Author/Filmmaker J. Neil Schulman is available for interviews. Email Neil at jneil[at]jesulu.com. This DVD-quality print of the movie has stereo sound and English SDH, French & Spanish captions available on YouTube. 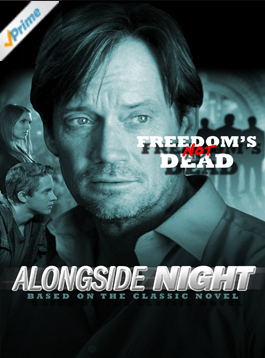 Starring Kevin Sorbo (Hercules: The Legendary Journeys, God’s Not Dead), Said Faraj (Green Zone), Contact and Starship Troopers‘ Jake Busey, Star Trek Voyager‘s Tim Russ and Garrett Wang, Alien Nation‘s Gary Graham, Men in Black 3‘s Valence Thomas, Parks and Recreation‘s Mara Marini, Lady Magdalene’s Ethan Keogh, Adam Meir and Susan Smythe, Kevin Sorbo’s real-life wife, actress Sam Sorbo, singer/songwriter Jordan Page, and real-life activist Adam Kokesh, as well as up-and-coming actors Christian Kramme, Reid Cox, Kyle Leatherberry, Rebekah Kennedy, Charlie Morgan Patton, and Eric Colton, this is a film far more current than The Hunger Games or Divergence series.